It's a Mikey and Splinter comic. It's a totally new story where I commissioned a guy to do the art. It was only 4 pages but I had been working on it until the program kept closing out on me all of the sudden. I just shelved it at that point. The voice actor recorded all his lines for Mikey and I'll do Splinter but I thought I'd like to try and get back to it so everyone can see the fruits of their labor. It's been way too long. Awesome. I use Audacity quite a bit so I'm familiar with it. Sony Vegas not so much. Anything is worth a try though. I look for next part of Secret History of the Foot Clan. Last edited by Fang Wolf; 01-25-2018 at 06:37 PM. My TMNT customs: Karai "NEW"
Saki & Yoshi sound very convincing. The others are great too. Well done everyone! Hmm... I'm wondering.. if Mike could read ancient Japanese writings, why couldn't the other turtles? Everyone seems surprised, even Donnie? Just wanted to drop in and give a quick update - season 3 is still very much in production and we're hoping to have a premiere date in the near future. To help tide you over however, here's a brief audio preview from the first episode of the season, the Krang Micro! And for those who may be interested, our channel is now also hosting a motion comic dub of IDW's Ghostbusters, directed by my good friend (and voice of Old Hob) Cliff Thompson! If you haven't yet, give it the first episode a try and listen for me in a brief appearance as Slimer. Plenty more to come, stay tuned! Awesome! I'm glad to see this thing is still alive and kicking. First visual preview for TMNT season 3 (and City Fall) is here! Stay tuned for season premiere announcements coming soon. Looking and sounding good as usual. Can't wait. SEASON 3 PREMIERES SEPTEMBER 13! Time to dive into the dark side... The villain micros (and season 3) start NOW! I can't believe Krang killed Thanos . Anyway, great to have the series back! Should be fun to see how it goes and I...probably won't cry during Hob's episode, I swear. This is still a weirdly structured story to me. He responds to being told one of the Utroms died after 200 years without much trouble, months from the end of his goal, and he...gets p!ssed that one of the Rock Soldiers tried to pick him up and he reminisces on his youth...and then somehow manages to kill a soldier built to withstand bullets with his bare tentacles? How about some priorities, man? 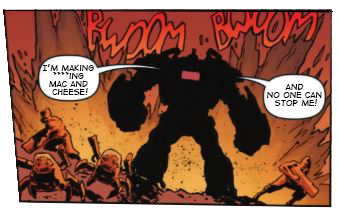 Villain micro #2 brings us a closer look at the devious mind of Baxter Stockman! This was fantastic. I loved Krang's voice. I like how the Flyborg sounds like Baxter Fly though, and of course that works with how its existence is just horrendous. Also, I realized watching this...we haven't really learned Krang's full plans for the Technodrome besides terraforming Earth, have we? Of course we will eventually (maybe sooner than later). Last edited by Utrommaniac; 09-28-2018 at 12:51 AM. 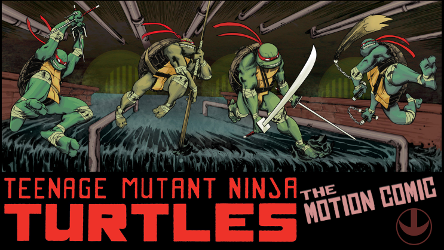 The ongoing series at last returns with TMNT #21!